We spend hours researching the perfect red for our lips and flush for our cheeks (and every other shade and texture in between). But could we be undermining our efforts (and looks) by making some seemingly small yet major missteps along the way? According to some of the top pros in the business, the answer is most definitely yes. From unnatural brow bolding to bronzer “islands” to fumbling falsies, experts say a lot can go wrong when trying to get our look just right. (I have personally been guilty of the eye makeup fallout and can attest that it isn’t pretty.) Back away slowly from that old mascara and read on for more of their biggest — and most surprising — beauty peeves. Once you’ve — finally! — found the volumizing, lengthening, non-clumping “one,” it can be easy to get attached. But makeup artist Kate Lee insists that one of the fundamental aspects of a healthy relationship with your mascara is knowing when to let go. “Once the formula has stopped working, it begins to dry and crack, falling down under the eye. This is a no-no! I buy mascara in twos so that I always have a spare. Mascaras that are used every day are usually drying in three months but definitely done by six,” she said. According to makeup artist Kathy Jeung, spotty foundation is also a problem. “Use residual base makeup from your foundation brush or makeup sponge to blend foundation under the chin downwards onto neck to match your made-up face,” she said. She also recommended doing an “ear and chest check,” and then adding a touch of foundation or concealer to those areas so everything matches. For L’Oreal makeup artist Sir John, concealer around the eyebrows “in any way” is a bust. “There’s a misconception that in order to perfect brows, they need to be outlined with concealer, but you’re only turning to concealer if you lack the confidence to draw on a perfect brow. Get rid of the training wheels and take the time to learn how to fill in brows,” he noted. According to Jeung, another thing to avoid when it comes to brows is making them too strong. “Lightly dust the eyebrow area with translucent powder before applying an eyebrow pencil with a precise pointed tip. Powder helps drawing on hair-like strokes and increases staying power,” she advised. Makeup artist Sarah Tanno suggested applying dark eye makeup before concealer. “It’s better to start with the eye makeup so you can clean the fallout on the skin and then apply face makeup,” she said. That way you don’t have to worry about a concealer do-over or just having raccoon eyes. According to Tanno, nothing is worse than a smudged red lip. “To ensure your pout stays perfect, always powder the outside of your lip line,” she noted. Last, but certainly not least, make sure SPF isn’t solely reserved for your face. 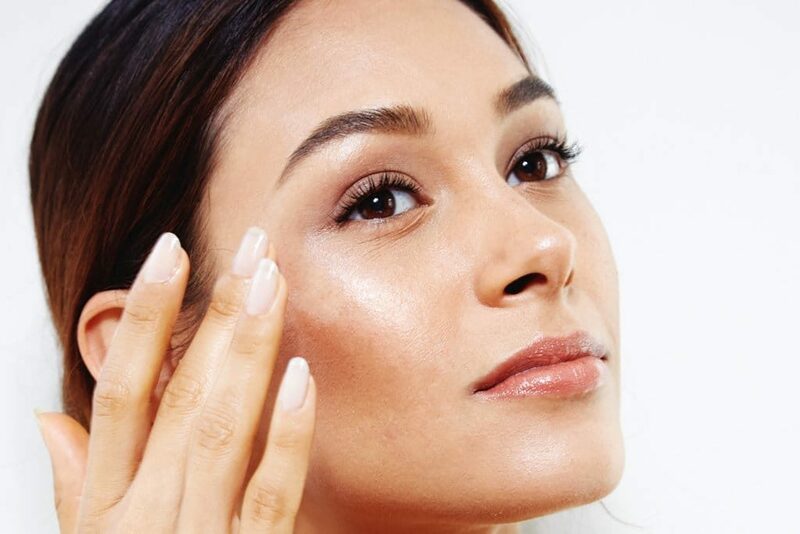 “If your face is four to five shades lighter than your body, it’s not a good look temporarily and, in time, the actual condition of the skin will look different. It starts to look like a doll cutout — a Winter head on an August body. Use sun protection everywhere,” joked Sir John.